Banc d’Arguin National Park on the Mauritanian coast is a jewel in West Africa’s conservation crown. Vast mudflats, sand banks, seagrass meadows and mangroves support an abundance of life, sheltering over two million wintering shorebirds, of which a majority of waders from northern Europe, Siberia and Greenland. A mild climate and minimal human disturbance make the park one of the most important sites in the world for different Palearctic and Afrotropical bird species. 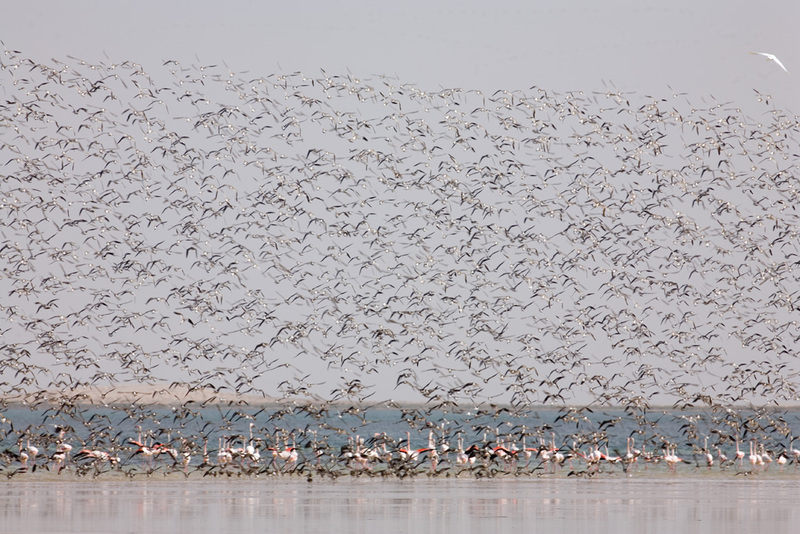 Huge flocks of waders coming from the North fly over the site during their migration and mix with other species which breed there, such as the Royal and Caspian tern, the Western Reef Heron, the Banc d’Arguin spoonbill and the Great white pelican. Sea turtles and dolphins call it home, while several shark and ray species breed in the Banc d’Arguin. Visiting the Banc d’Arguin National Park for the first time for a gathering of the International Waterfowl & Wetlands Research Bureau (now Wetlands International) in 1982, Luc Hoffmann realised the significance of the wetland. Collaborating with Mauritanian authorities and international conservation organisations, he helped establish the International Foundation of the Banc d’Arguin (FIBA) in 1986 to support conservation of this wetland of global importance. Although a UNESCO World Heritage Site since 1976 and a Ramsar Wetland of International Importance since 1982, offshore oil and gas exploration and overfishing of some of the ray and shark species are not sustainable. Climate change is already impacting the Parc’s coastal villages and motorised fishing is still present. 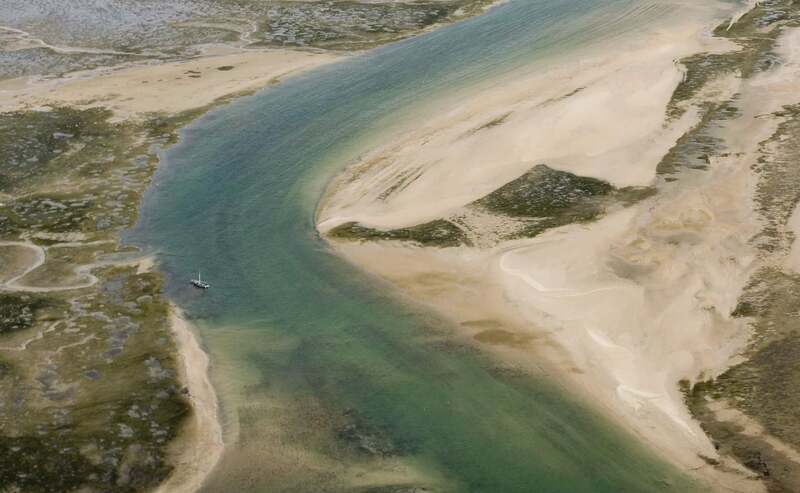 With the KfW Development Bank, the Fonds Français pour l’Environnement Mondial (FFEM) and the Agence Française de Développement (AFD), MAVA helped to establish Banc d’Arguin and Coastal and Marine Biodiversity Trust Fund (BACoMaB) in 2009 to support the conservation of the Mauritanian coast. 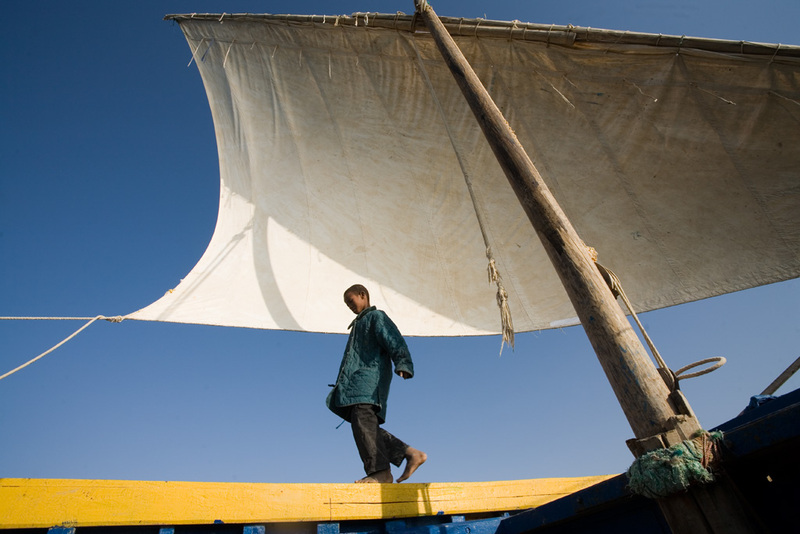 Merging in 2015 with FIBA (Fondation Internationale du Banc d’Arguin), MAVA continues to promote the natural and economic value of the Banc d’Arguin and the Mauritanian coast with government, business and civil society.